If you move your cursor to the left of the slide screen- you get a summary thumbnail list of screens to navigate directly to any slide..
- for a Golden Ratio PHASE CONJUGATION wave mechanics of perception/ bliss. Specifically- this article presents evidence that Golden Ratio phase conjugation in the plasma field around the brain- correlates to the Golden Ratio phase conjugation in brainwaves (evidence here)- which causes peak perception / bliss. Further then- this model suggests that in the very common phenomenon when a shaman sees through the eyes of an eagle, or the eye of a tornado, or the eye of the sun- what is happening- is that the toroid cold plasma 'spirit' body of that shaman- EMBEDS by golden ratio (donut inside donut)- IN to the EYE- thus adding to the gravity there. This creates a common (phase conjugate) point of perception. (See also: how shaman 'steer' tornados- by getting their plasma body inside of them: this is therefore- perception by conjugate EMBEDDING/ COMPASSION. This creates the low pressure point - which steers tornados: goldenmean.info/dowsing . Also see - measurements of the movement of the perceiving plasma body/ ghost - OUTSIDE the body: goldenmean.info/immortality - note that plasma body MUST seek centripetal charge 'sacred space' in order to survive- the ghosts presence is measureable as a cooling effect because that what implosive conjugate does). This then explains why focused perception causes charge fields to compress measureably (Bill Tiller et al). - and therefore at the root of perception. Preview:Most Powerful & Exciting IOS Heart BiofeedbackAppEVER! Einstein:the solution to infinite non-destructive (charge)compression IS the unified field. ..So- if perfect compression is the solution to virtually every science problem in history: gravity, alchemy, fusion, urban design, computers.. the physics of human (peak)perception/bliss.. the list goes on - THEN what does it mean that we have just proven the (fractality perfected) wave mechanics showing that golden ratio IS the solution to perfect (charge) compression? Fractal Space Time: Origin of Negentropy fractalfield.com/fractalspacetime - by Daniel Winter- 212p. 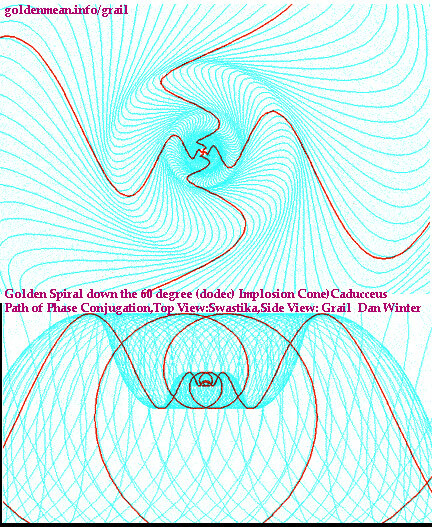 Edition 2, Dec 2015- Scientific Abstract: Originally Dan Winter's team ( fractalfield.com , fractalU.com ) wave equations proved golden ratio wave mechanics optimizes constructive wave interference, compression and therefore phase conjugation ( fractalfield.com/mathematicsoffusion ). Then Dan Winter discovered that integer exponents of golden ratio phase conjugation ( perfect fractality )- times planck length and time (musical 'key signature' of matter) - dramatically predicted: 1. Hydrogen Radii ( goldenmean.info/goldenproof ) , 2. Exact frequencies of photosynthesis ( fractalfield.com/fractalphotosynthesis ) , 3. Exact duration of the Earth year and venus year ( goldenmean.info/coincidence ) , 4. 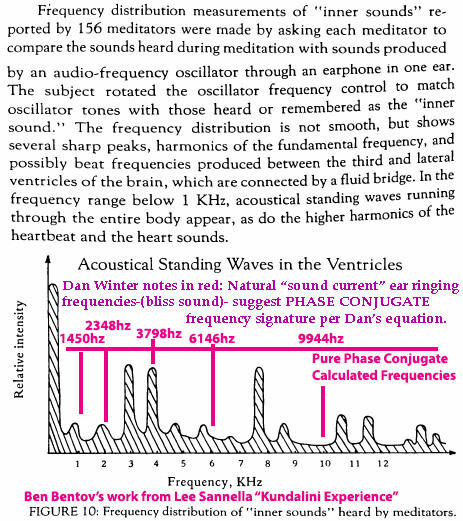 Virtually exact frequencies of the SCHUMANN HARMONICS and (peak perception) BRAINWAVE HARMONICS ( fractalfield.com/conjugateperception ) , 5. Exact frequencies of ADP (/ATP), 6. Exact frequencies of MAYER WAVE of Blood Pressure/ HRV LF and HF , and Spine liquid pump. Dan Winter calls this phenomenon: Perfected PHASE CONJUGATE NEGENTROPIC CHARGE COLLAPSE - and thus presents evidence this perfected 3D wave fractality- is the electrical CAUSE of LIFE FORCE/Rejuvenation and a) Negentropy, b) Gravity, c) Perception, d) Color and e) All Centripetal (Implosive) Forces. 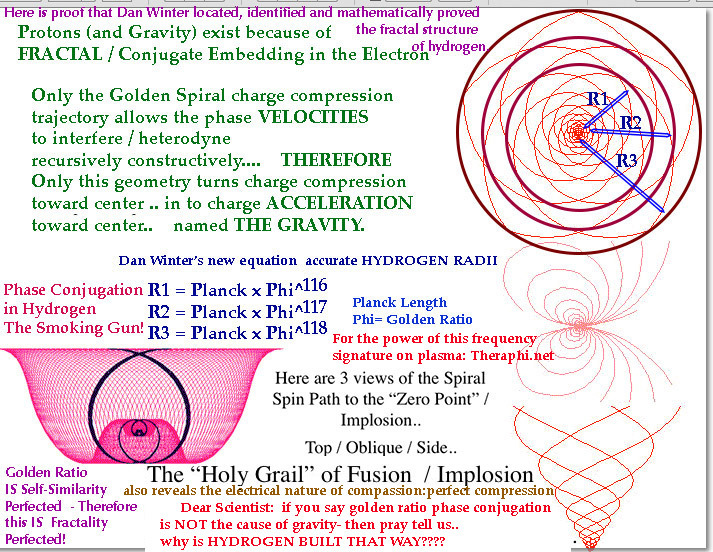 Winter's original successful TheImploder.com water implosion for growth - invention - used his Hydrogen geometry equations- ( for hydrolysis : fractalfield.com/hydrogen ) and more recently - Dan Winter built exactly these frequencies into Perfected Negentropy Rejuvenation Plasma System ( aka Priore )- in Theraphi.net - which is now rapidly proving his negentropy for biology hypothesis. Inexpensive- highly interactive- real telepresence into your space- your questions answered- media rich! We have the world's most compelling teaching team and state of the art- teaching environment- right here- to learn the real new physics AND new physics of consciousness. 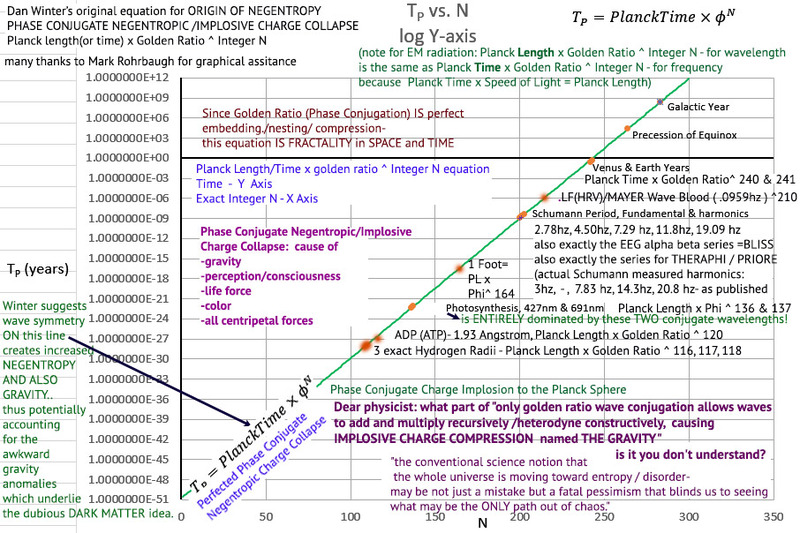 are a testimonial to what it 'looks' like for the blind to lead the blind..
Planck Length/Time x Exact Integer Exponents of Golden Ratio (perfect phase conjugation). Quotes from that article (pointing to Theraphi): "
practical terms how to cure it.."
DEFINITION MEDICINE HAS EVER HAD FOR CANCER. embed to produce the 3 pairs of primary colors- which are the cube of 4 wave mixing CALLED phase conjugation..
which ARE the face angles of the -phase conjugating- dodecahedron. quoting...Chiao has become well known in the field of quantum optics due to several important experiments. Based on former experiments carried out by Günter Nimtz in 1992 he measured the quantum tunnelling time, which was found to be between 1.5 to 1.7 times the speed of light. - allow us for the first time to say WHY they are both electrically CENTRIPETAL ! 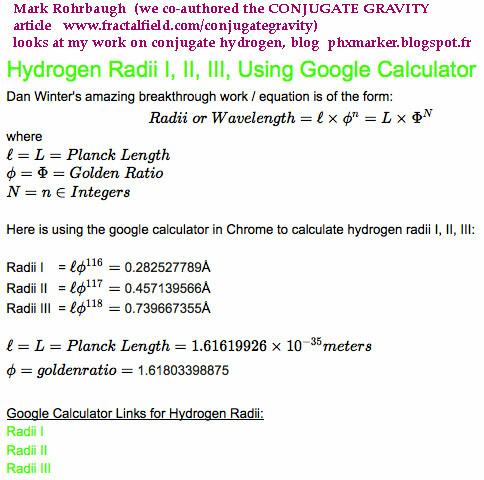 looks at my work on conjugate hydrogen- today- nice google calculator link to confirm my discovery: hydrogen's radii EXIST BECAUSE THEY ARE A NEGENTROPIC (golden ratio ) PHASE CONJUGATE PUMP WAVE ( I have shown this is also true of Photosynthesis, of Earth's Schumann Harmonics, of the Brainwaves and Spine Pump of human bliss .. and much more - as explained here..
– is that the two opposite hemispheres of the brain (locked in golden proportion harmonics internally) – MUST in fact be 180 degrees out of phase. This is a very specific and testable prediction- which would radically document my new theory of perception – and account for the remote heating (longitudinal waves pass thru most anything)- so associated with psychokinesis. Refocusing longitudinal waves at a distance- is clearly the holy grail of plasma containment for fusion. (We would quickly save enough money to feed Africa for decades- for what has been wasted on atom smashers- for fusion plasma containment). The physics is that (as in the brain-and as in fusion plasma containment microwave- phase conjugate radiance (brain hemispheres) lock into conjugation- exactly 180 degrees out of phase- producing (little understood except in Russian where went the Nazi scientists who did the radar trick with the paint)- electromagnetic longitudinal waves. When physicists in the west have been too stubborn to learn- is how crossing longitudinal electromagnetics at a distance- creates remote controlling heat containment at a distance. This is because when longitudinal electromagnetics cross in perpendicular vectors they phase conjugate back into the (heat producing ) electromagnetic transverse waves. This is the main physics of plasma psychokinesis of mind- and the main physics of plasma containment for fusion solution. Our group has hidden in international destination- our microwave dishes which create longitudinal compressional microwave- because every military on planet Earth does not want you to know- the essential physics (of radar bouncing) – which ALSO happens to be the essential physics of MIND! (Another example of the disempowerment resulting from a planet where about 1 percent of the military budgets- would feed the planet so well- war would be completely unnecessary). In the meantime the idiots passing those military budgets- which should be used to fund a global peace corps- continue to earn their place in hell. The beauty is- we now know exactly what heaven is: HE- (breath of charge) AVE (which takes flight). The phase conjugate dielectric field- whose entry is how you join the collective unconscious/communion of saints- at death. And similarly we know exactly what hell is- (the opposite) heat generating destructive wave interference- of non-conjugate / non-fractal electrical environments – both inside and outside your body. So- hell would be quite literally- dying in a modern (electrosmog hell) hospital- with anger (destructive interference) on your mind. Heaven would be you perfectly shareable-pure principle memories- charged aura- dying in a place- like the rose like field around say- the altar at machu-pichu. Effectively this is what sacred circles were for- enabling the passage of memory through birth and death. Essentially- phase conjugation happens when opposing wave fronts (opposing lasers for example) meet so perfectly- that a compressional center emerges centripetally between them. We often suggest the metaphor of teach two pine cones how to kiss noses. In optics the most common way this is described as �4 wave mixing� meaning 4 perfectly perpendicular wave fronts (or lasers) converge in such a way as to conjugate. What they mean by conjugate is clearly- that all the wave fronts- are somehow able to come to one point and sort / and or be sorted. The gravity of this: the ONLY way waves have to MAKE a point- is to conjugate..
And the same is true for mind. Now if you think about it- pretty much everything about that description is the way – you would very intuitively describe perception itself. Perception works in such a wave as to drive wave fronts to a point of convergence so that they can be sorted (into phase?). In fact- the concept of perception- and the concept of focus- are pretty much synonymous. Now if you were to ask a laser optics expert – what the most elegent (or energy dense) mode possible – for optical focus- they probably would answer – phase conjugate optics. In other words- everything we know about the focal nature of attention in general – pretty much introduces what phase conjugation is. What emerges from this insight- that phase conjugation describes the nature of attention- is to learn what phase conjugation principles teach us about the nature of attention. We have spoken at length about the negentropic and centripetal and self-organizing nature of phase conjugation- in wave mechanics. Again- beautifully- so many ways in which attention has been measured to be centripetal, negentropic and self-organizing apply. One of our favorite references in this regard has been famous Professor Bill Tiller�s book �Conscious Acts of Creation�. Here he showed multiple ways in which focused human attention- could replicably be proven to CAUSE ELECTRIC FIELDS TO COMPRESS. In other words- attention is centripetal- by measurement. 1. 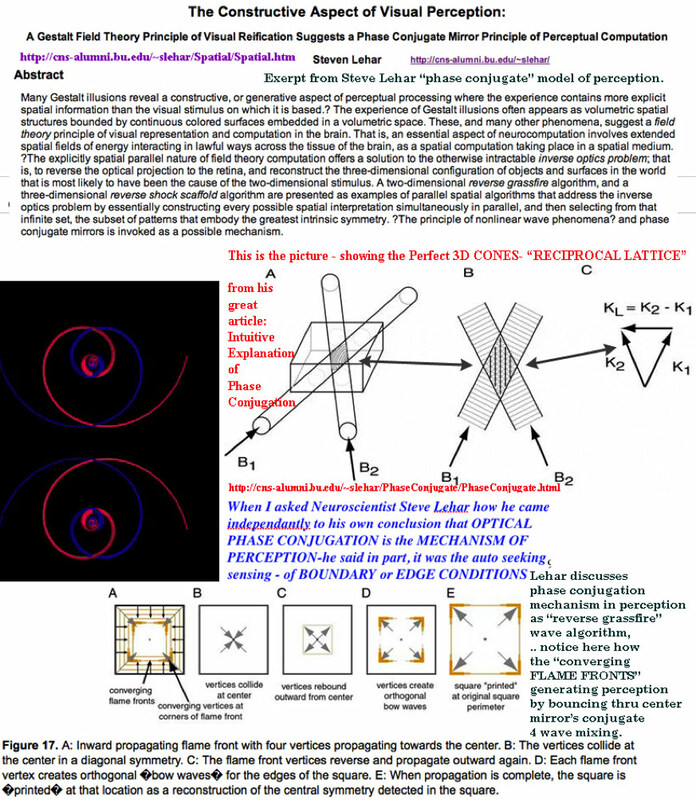 Steve Lehar�s model of perception- essentially says- perception is about maximum constructive wave interference- our new mathematics- have proven golden ratio IS maximum constructive wave interference and therefore optimum phase conjugation and optimum compression (focus). Constructive Aspect of Visual Perception. Many Gestalt illusions reveal a constructive, or generative aspect of perceptual processing where the experience contains more explicit spatial information than the visual stimulus on which it is based. The experience of Gestalt illusions often appears as volumetric spatial structures bounded by continuous colored surfaces embedded in a volumetric space. These, and many other phenomena, suggest a field theory principle of visual representation and computation in the brain. That is, an essential aspect of neurocomputation involves extended spatial fields of energy interacting in lawful ways across the tissue of the brain, as a spatial computation taking place in a spatial medium. The explicitly spatial parallel nature of field theory computation offers a solution to the otherwise intractable inverse optics problem; that is, to reverse the optical projection to the retina, and reconstruct the three-dimensional configuration of objects and surfaces in the world that is most likely to have been the cause of the two-dimensional stimulus. A two-dimensional reverse grassfire algorithm, and a three-dimensional reverse shock scaffold algorithm are presented as examples of parallel spatial algorithms that address the inverse optics problem by essentially constructing every possible spatial interpretation simultaneously in parallel, and then selecting from that infinite set, the subset of patterns that embody the greatest intrinsic symmetry. The principle of nonlinear wave phenomena and phase conjugate mirrors is invoked as a possible mechanism. This is a beautiful metaphor in that it embraces the nature of attention as the convergence of waves as if in a flame. This being the so-called �flame in the mind�. And further- as �flame fronts� of this �grass fire� converge at and bounce thru center- they create a kind of sorting for symmetry. Now if ever we were to look at how phase conjugate mirrors- or 4 wave mixing in phase conjugate optics could work- we seem to be examining the same metaphor. 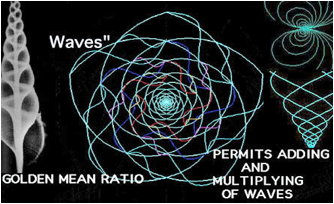 As the flame fronts- of the laser optical waves converge- if the symmetry is perfect- then the waves are all able to meet at one point –literally- �focus�- and hence the waves which follow- either continue to meet there with discipline – or are cancelled out (out of phase). This is the centripetal, negentropic nature of both phase conjugation and perception. Could they in a sense, be one and the same. Note the way the focal lines emerge from a bubble to produce wave agreement / phase sorting – could be described in interference terms- as a �conjugate phenomenon�. wave mechanics of 2 wave sets bouncing back to meet each other - to create PERCEPTION! Note again- that a symmetric convergence of wave (optical) cones- is the essence of phase conjugation. Only when phase conjugate optical cones have correct also elegant wave symmetry are the conditions set to generate strong negentropy, self-organization – the power of conjugation. 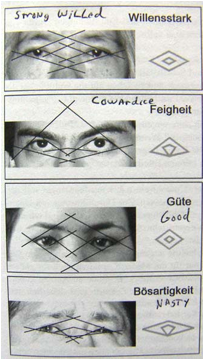 Similarly in the design of the human face- the opposing pairs of the cones of perception can be seen in the facial eyes symmetry- indicating quite clearly whether the phase conjugation- and therefore the perception is balanced. We have elsewhere shown- where I pioneered the nature of measurement for heart coherence ( fractalfield.com/coherence ) – that onset coherence- was a measureable way to indicate pure (and shareable) intention. This example from Muldashev- then further suggests as we have – that phase conjugation is the climax form of coherence (literally- the �shareable� wave)- and therefore the measure of pure intention! Sunbeck has repeatedly proven many cases of dyslexia can be dramatically improved/ healed! - you can feel the forcing of blood flow 'conjugating' and heating the brain center by criss crossing (conjugating -pine cones that kiss noses) the corpus callosum. - Talk about creating the focus- to create/repair perception! and b) when Dan Winter INVENTED the concept and the mathematics for measurement of heart and brain coherence ( see: www.goldenmean.info/coherence and www.fractalfield.com/coherence )- he showed hundreds of global audiences that internal heart coherence- IS a dynamic measure of pure intention! (literally a lie detector- Dan's HeartTuner is used by numerous professionals as a dynamic measure of kinesiology: muscle strength- a classic biologic 'truth meter'). It has always been self-evident that virtually every living structure, leaf symmetry and the pent geometry of almost every living protein, uses the golden ratio for an electrical reason. Golden Ratio defines beauty in general for reasons which are also fundamental to physics. It is also self-evident, by inspection, that golden ratio solves the problem of recursive wave interference because it is the only solution to both adding and multiplying (recursive wave interference precisely turns recursive wave addition into multiplication). The authors present their new evidence of the golden ratio structure of hydrogen as one more evidence of the fundamental solution it poses to constructive wave interference, which IS constructive compression. Earlier they noted software emulation which showed golden ratio as the general solution to constructive interference. Here they show the wave-equation-mathematics proof. The first set shows golden ratio is the solution to constructive compression (implosion / fusion) in a line. Then they show how that precise line of golden ratio points extends out each axis of symmetry of the pent dodeca which is the proven shape of hydrogen, DNA, Earth Grid, and the UNIVERSE. Further a model is presented for how this golden ratio causes gravity electrically: As a portion of the inertia encounters recursive constructive wave interference by golden ratio, in addition to the wave lengths, the wave phase velocities are hypothesized to heterodyne constructively recursively. This way of turning compression into (charge) acceleration is hypothesized to be the core wave mechanism of phase conjugation (apparent self-organization) and the centripetal forces of gravity, life force, color, and perception. Is Golden Ratio-optimized phase-conjugation the way that multiple compression waves converge constructively? Thus, the origin of spin (vorticity) solved, and in the process, the origin of all centripetal forces, including gravity? The question of how to COHERE THE VACUUM is not unlike Don Quixote tilting his sword as he attacks the WINDMILL. Actually, the unified field appears to be made of a compressible unified substance which behaves like a fluid in the wind. It matters little whether you call it aether, ether, or ‘the space time continuum of curved space’ or, as we choose to call it, the compression and rarefaction of the vacuum as really particle/waves of CHARGE itself. What IS important is to constantly imagine yourself part of a truly UNIFIED FIELD. This avoids the religious war-generating schizophrenia of those who consider their physics and their field theory quite and truly SEPARATE from their spirituality and life essence. We think that such a dichotomy is a fatal mistake. The reason that Don Quixote holds the clue here is that the unified field, and therefore the huge inertia which is clearly present in the vacuum, IS literally like a WIND. So, tilting at windmills with the right approach angle to transform the wind power to a life-giving-energizing advantage and not be blown away by it IS the appropriate way to gain the power of nature. The REASON this fractality catches the implosive collapse WIND of charge called gravity is the same reason that it CAUSES gravity. There are many technologies implied by these understandings like Schaeffer’s famous implosive collapse cavitation steam generator. 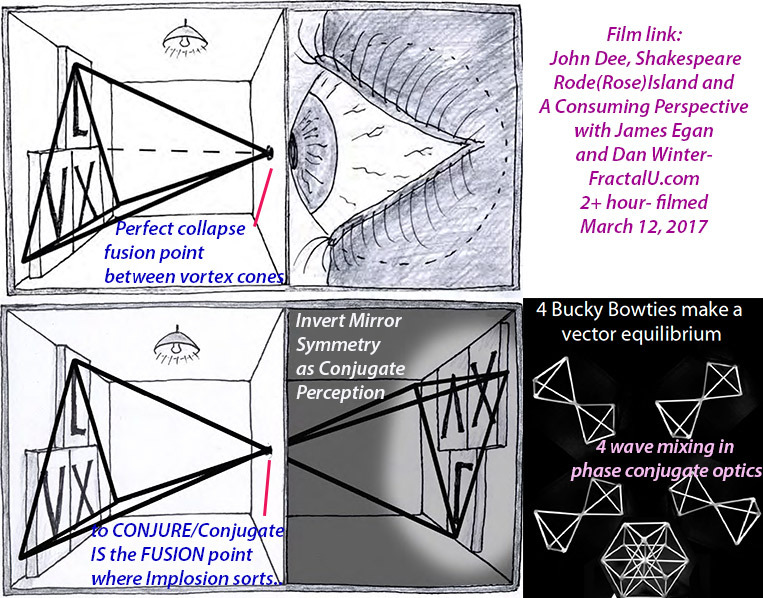 The principle of implosion and fusion forces is always the same: gaining energy / inertia during implosive collapse. The authors suggest that our collective survival, like the way pine cones and seeds survive, may lie in discovering WHAT MAKES COLLAPSE IMPLOSIVE? The pine cone is like an implosive cavitation impeller- it holds its capacitance (its seeds) in the ambient wind of charge (the gravity field, the vacuum) in such a way as to make a windmill that works. By attracting charge into implosion, it extracts the voltage from gravity which motorizes all of life. Similarly the voltage measurement from the top to the bottom of a chicken egg- indicates the principle of life force: goldenmean.info/biophoton - It really is a pity your biology teacher never told you the reason WHY almost every biological structure from DNA to cells to tree branching is mostly based on golden ratio. The reason is strictly electrical. To implode voltage from gravity is HOW one makes life force. This is another example of restored centripetal forces. The KEY is to recognize how the WINDMILL of charge catches the wind of gravity / the vacuum AND in the process helps us to stop irresponsibly calling this energy ‘ “FREE” ENERGY’ because clearly it is not (we call the so called FREE energy movement: ‘The ATLANTIS Mistake!’). This inertia in the vacuum is part of binding energy which holds gravity and everything together. Did you know that around nuclear fission, the bonding (binding) energy of all atoms in the neighborhood literally begins to fall apart. The world literally begins to disintegrate at the nuclear bond level. This is the background BINDING energy- and it is NOT free. Nuclear fusion reactions- would have the opposite effect. THIS is not just the difference between fission and fusion- it is the difference between EXPLOSION versus IMPLOSION energy. It is the difference between world building, versus world unravelling. Bill explains- that the measureable 'embrittlement' (becoming more brittle) in the bones - of the workers at nuclear plants- reverses when they move away! This is an example of the decreased binding energy of the whole area- ( tearing apart the fabric of your own survival net) - in the pressence of nuclear fission. Fusion - is the opposite. Centripetal forces- RESTORE the binding energy. In this paper, we support the claims made above with a hard mathematical theory that curtails to empirical data and equations done by Winter and others especially related to the symmetry of the vacuum and the inherent symmetry of the matter we find ‘in’ the vacuum, and how the Golden Proportion is found to be a profound number found in the structure of the space-time fractal of the universe. First to implement Golden Ratio in EEG to measure peak perception / bliss. Next graphic animation below- Dan Winter's revolutionary BLISSTUNER measuring an intense bliss experience in Australia- using Golden Ratio in EEG. (which Frank Van Den Bovenkamp has also now attempted to illegally steal). Below you see Dan Winter' measurement of bliss / peak perception. 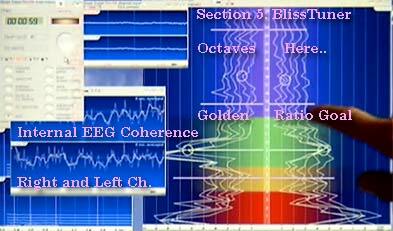 His 'BlissTuner' is the world's first to use Golden Ratio in EEG harmonics to measure and teaach 'enlightenment' peak perception. (In spite of the fact that then his invention was then illegally stolen from him by the dangerous thief- Frank Van Den Bovenkamp). 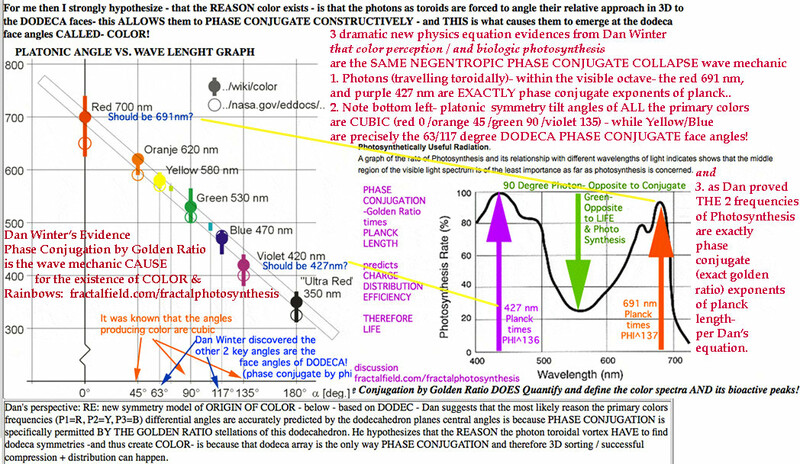 See here many practical examples of how Golden Ratio is phase conjugation and is the mechanism of consciousness and peak perception, in EEG frequency ratio. It's really simple; when brain waves phase conjugate by golden ratio (after lock in to Schumann Resonance related alpha) - you get the electrically centripetal forces which define attention. Note how this is the ONLY way to account for example for Bill Tiller's abundant measures showing focused attention causes electrical compression. The plasma field around your body and brain becomes implosive/ centripetal and self organizing only by use of Golden Ratio in frequency signature (the cause of all centripetal forces - especially including attention, life, gravity , color and more:see goldenmean.info/selforganization). Supporting a PHASE CONJUGATE wave model of Perception? Who has provided a meaningful description of the nature of consciousness? - Here is the raw data that needs to be accounted for: 1. 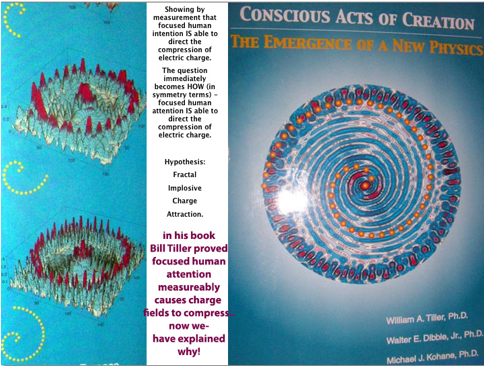 Focused attention causes electric fields to compress (Bill Tiller's extensive measures "Conscious Acts of Creation"), 2. Focused attention reduces radioactivity measureably (Geller measured). 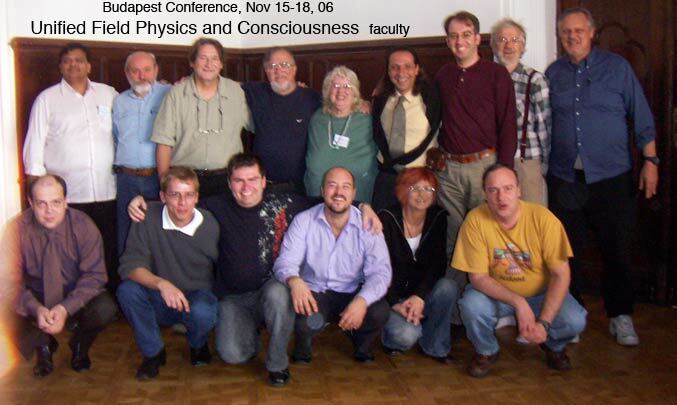 - If you look at ISSEM or What the Bleep- or Gary Schwartz and Stuart Hameroff- gathering of hundreds of scientists on consciousness - do they have an answer as to the electric nature of consciousness to explain the measurements? No - nothing close. 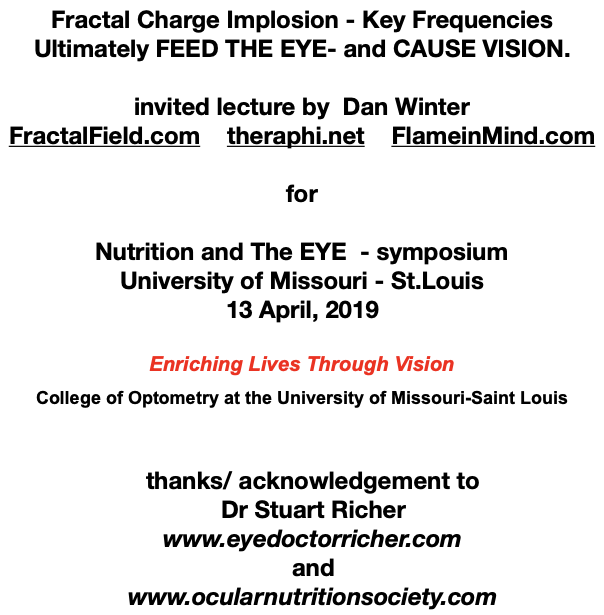 - Dan Winter has proposed a simple and compelling and MEASUREABLE explanation: Focused attention is a centripetal and golden ratio / 'implosive' - phase conjugate (donut shaped) plasma or charge field - (Golden Ratio in EEG as he has pioneered). COULD ANYTHING BE MORE SIMPLE- LIFE HAPPENS WHEN YOU GET CENTRIPETAL ELECTRICALLY. Death happens when you don't! This is more than a real electrical engineers phase conjugate phenomenology of perception- it is a recipe for how to create life. 4. Implosion:Secret Science of Ecstasy&Immortality , - Origin of Alphabets Physics - Stellar Purpose/History of DNA Articles - new master Photo Galleries. It is also the proven geometry of the DNA, Earth's magnetic lines, and arrangment of masses in the UNIVERSE! 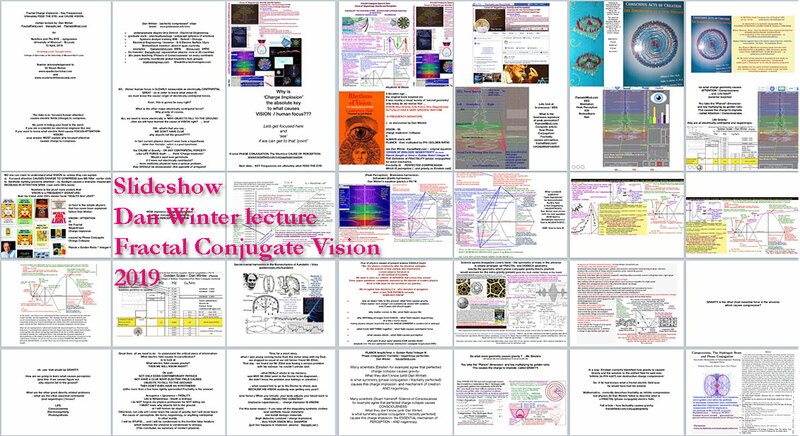 M. Pitk¨anen, January 29, 2011, refers to PHASE CONJUGATION as mechanism of consciousness- 71 times. 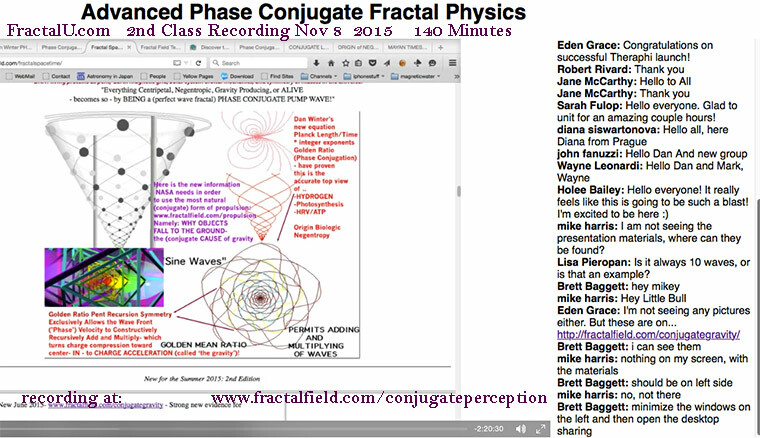 HOW Brainwave initiate the charge compression which identifies consciousness by Golden Ratio PHASE CONJUGATION. above the blue text- exerpt from Dr. Korotkov-the rest from Dan Winter- graphic on bottom right- derived from Mind Mirror literature. NOW - in a software engineering breakthru - from Heart Coherence Team in close collaboration with Dan Winter, we are pleased to announce: THE BRAIN HEART CONNECTION - within the HeartTuner / BlissTuner environment! (Now released for ALL HeartTuner / BlissTuner new buyers and upgrades). 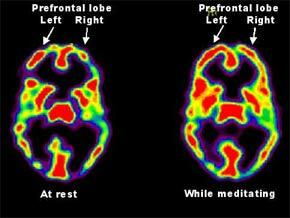 In the lower graph, this gifmation see the immediate response of BRAIN COHERENCE.. to a short meditation.. The Heart-Brain connection has obviously been an intensely discussed question in the psychological and even medical literature. Everyone is aware that making this connection is key to the psychology, the spirituality and the PHYSICS of conscious evolution. What has been missing is the correct tool to MEASURE the connection. Now - with HeartTuner / BlissTuner newly upgraded software to beautifully allow adjustment of relative gain between channels- Heart Coherence Team software team, with Dan Winter- scientific inspiration- is pleased to announced the BRAIN HEART CONNECTION option! His discovery of how to measure INTERNAL COHERENCE (cepstrum) so revolutionized Heart biofeedback - that the literature now recognizes Dan Winter with inventing the term Heart Coherence. 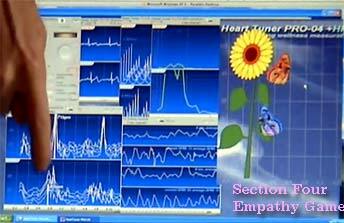 Winter taught HeartMath institute how to take their first EKG and how to spectrum analyze it to measure emotion. Sadly - HeartMath Institute lied about who taught them this, and more seriously- completely misleads their customers about what HeartCoherence is. Read 'The HeartMath Mistake'. 2. the virtually self evident fact that INTERNAL BRAINWAVE COHERENCE TRAINING can perfect and simplify almost all EEG neurofeedback for everything from ADDICTION TO A.D.D. training. Revolutionizing neurofeedback - see: goldenmean.info/ritalin for example- the old way of elaborately (+ expensive time wasting for clinicians) guessing WHICH missing harmonic in EEG to reinforce is virtually ELIMINATED when overall internal COHERENCEis rewarded (see how it looks on graph below) ! 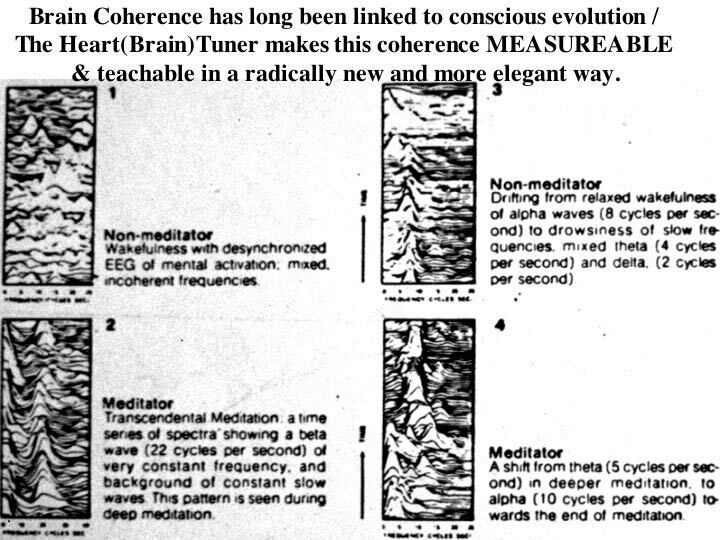 3. meditation and consciousness training (like TM for example) have spoken about nothing but COHERENCE for decades . Yet now that Dan Winter has invented the way to do that (measuring internal coherence is precisely what makes it teachable)- the TM community ignores this like a stuck pig (afraid for their wallet apparently- while there ask the TM'ers why they continue to spend BILLIONS to reinvent cities based on Vastu, while having not the first clue of the electrical pure principle behind sacred / biologic architecture.). Below see tangible evidence how WONDERFULLY positive it is to see even a short meditation rewarded by INSTANT EEG COHERENCE PEAK RISE. 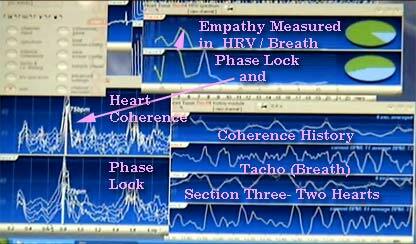 ----Combine this with the new possibility in HeartTuner BlissTuner with the ability to measure EMPATHY in TWO separate and powerful ways- COHERENCE PHASE LOCK plus 2 channel HRV compare ( ref: goldenmean.info/empathy ) . THEN now here add the incredibly potent and new ability to measure when your heart and brain a) come into phase, and separately b) when they are each internally coherent, and c) when that coherence peak is simultaneous to both! Result: the HeartTuner BlissTuner is such a revolutionary and powerful tool to biofeedback in general.. it may take a generation of obsolete practitioners to die before the breakthru can be recognized. Imagine the thousands of biofeedback practioners on Earth who each have gone thru all their training being WRONGLY taught that INTERNAL COHERENCE cannot be measured - only compared between 2 signal sets. 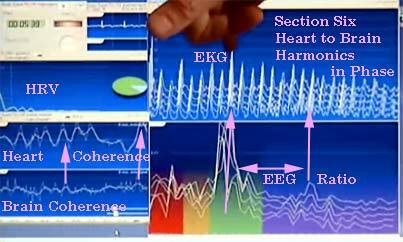 The point is - that for those visionary enough to understand the incredibly potent role biofeedback with EEG / EKG coherence + HRV and empathy measure - could play in shepherding and teaching conscious growth- (as well as in countless clinical and research situations) the new HeartTuner BlissTuner is a system completely in a class by itself. This letter is for love of kids..(particularly A.D.D.) 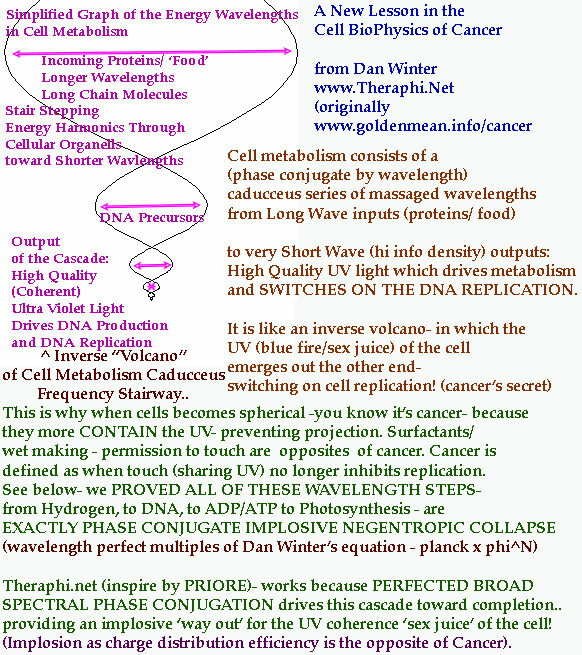 - see: goldenmean.info/clinicalintro if you do not have the illustrations..
Also see addend added about gamma in tibetans meditators - from april 06 - see bottom here.. Anyone who is familiar with the 70% or so clinically documented success with neurofeedback against Addiction and A.D.D. in America - knows the problem lies is quickly identifying which FREQUENCY to reward.That is the problem Dan Winter's (BlissTuner) measure of COHERENCE / Cepstrum - and Harmonic Inclusiveness (Perfect Compression) solves. Is the inablity to produce quality ATTENTION in our leaders and our children - due to the inability to teach the PRINCIPLE of what ATTENTION IS? The electrical symmetry that produces ATTENTION - is the same FRACTAL and SELF SIMILAR CHARGE COMPRESSION that produces - LIFE and GRAVITY and CREATION of Mass from Light. Our failure to teach how to become ATTENTIVE - is directly due to our failure to understand the HYGIENE for ENVIORNMENT and DIET and GRACE (Yoga in Movement) that makes ATTENTION POSSIBLE! - Attention can be Measured and Taught with Neurofeedback - as the Brain Harmonics (alpha / beta) approach the Golden Mean Ratio 'Caducceus' Identifying CHARGE COMPRESSION! and Produce FOCUS / Charge Compression / ATTENTION. - to Make LIFE FORCE / Seed Germination AND Gravity? a Revolution in Designing for LIFE! NEW: Aug 05 - HeartTuner Training Video Series ONE - HeartTuner Basics. New Interactive Window in Window Teaching Technology.. The REAL Thing. Measuring Tree Harmonics to measure ecologic health - HeartTuner preamp - presented by Dan Winter in Netherlands (04)-How probe works - how pathologic harmonics identify sick tree - .etc . - first- short exerpt from goldenmean.info/ritalin - Dan Winter, 10/99 , Ritalin: Poisoning the GEOMETRY of Attention in our Young? 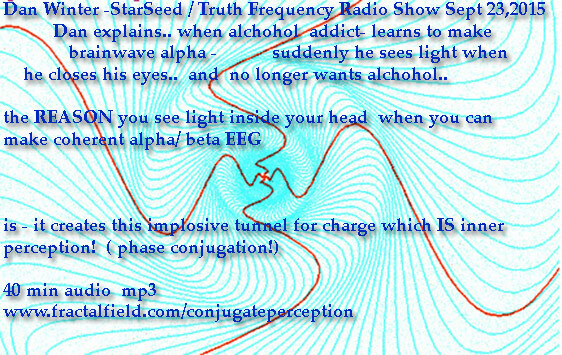 WHY Attention is Teachable as a Musical Frequency Recipe in Brainwaves: Perfect Collapse FUSES CHARGE - and that IS Attention defined Electrically..
June 2003: link to- Self Empowering Sources of Peak Experience / Charge Density THE REAL SOURCE OF ATTENTION DENSITY - for Young People Charge Density / Peak Experience Prove BLISS: BIOLOGICAL CHARGE is the Ultimate Educator (CHARGE: The Ultimate form of Biological Information- Read how LIFE FORCE is measured) - from Dan Winter's presentation at RainbowSerpent Festival Australia 2003 : Self Empowering Musical Recipes to Bliss and Euphoria at RAVE Concerts - ALTERNATIVE TO DRUGS for Young People goldenmean.info/rainbowserpent - Presented to thousands of Young People and Featured in Major Aussie Media..
from PBS FrontLine: 'RITALIN_Miracle Drug or Cop-Out' by Ken Livingston -Prof Psychology,Vassar College- "What Ritalin does not do, and this is a finding about which proponents of the ADHD diagnosis tend to be defensive, is to improve long-term achievement-test scores. The drug simply makes the child more manageable and better able to work to the level of the system's expectations. It does not seem to produce long-term changes in cognitive functioning. .... Is changing the child's brain chemistry, by prescribing Ritalin-like drugs, really the most appropriate response to the child who doesn't perform well in the modern school environment? Perhaps it's time we asked ourselves whether the fact that so many children can't learn well in our schools is a reflection on the schools, not the children. " from ADHD Fraud: "The real question is, is such prescribing and drugging with drugs of addiction, drugs that are dangerous and even deadly for a 'disease' that is such a thinly veiled fraud, not a crime?" Hi, This note is especially for those interested in biofeedback and the cutting edge of self-empowerment. The emphasis here is more to stimulate dialog about potentially dramatic revolution in biofeedback principles: ( than to just inform you about HeartTuner / BlissTuner sytem which has moved into this field without waiting for the usually required death of a generation of stuck scientists before revolution can propagate). a ) Can internal COHERENCEbe measured DIRECTLY (the 'cepstrum') - revolutionizing EEG and EKG biofeedback- particularly A.D.D. & Addiction neurofeedback ? c ) Does the HARMONIC INCLUSIVENESS - which has medically proven to measure survival and vitality in Heart Rate Variability- also apply to brainwaves - and in fact every living thing? 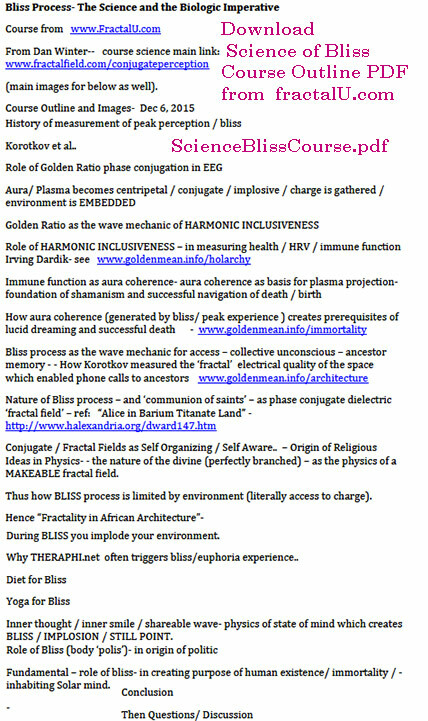 d ) Is the GOLDEN MEAN RATIO geometry of harmonics ( a CADUCCEUS cascade) which perfects inclusion of harmonics - (perfect compression ) - in fact the identifier in human brainwaves - of CREATIVITY, PEAK PERFORMANCE, even BLISS / and ENLIGHTENMENT? In short is this the music of - the ability to ATTRACT CHARGE - and the OPPOSITE of ATTENTION DEFICIT!!!??? The Heart Coherence team, successfully launched Heart / EKG biofeedback making empathy (phase lock ) and coherent emotion (passion) measureable (using 2 channel ceptstrum of EKG). Now in the next generation release of HeartTuner Pro04 Software (goldenmean.info ) Heart Coherence team is launching the BlissTuner. C - Overall Internal COHERENCE. In the tests here - both Dan & John & Frank whose brainwaves are shown felt clear 'rushes' or tingles of BLISS or 'presence' when the succesful Golden Ratio graphs were taken. 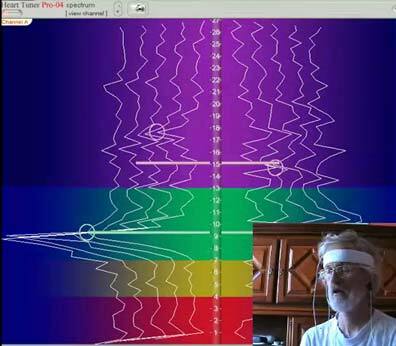 These are a few supporting visuals - showing the dramatic new teaching capability - biofeedback display of RATIO in brainwaves - with switchable musical audio cues..
Everyone knows that Attention Deficity Therapy essentially begins with the therapists hours of struggle to learn WHICH EEG harmonic to reinforce. It is also known that ATTENTION is the result of the completion of a BALANCED CASCADE of EEG - Alpha / Beta / Detla.. If one is consistently missing - that is usually a trigger of inability to focus. You know the drill - make the missing frequency - shift gears - and presto - ATTENTION RETURNS. PROBLEM: it takes too long to find the missing frequency - and correct the overall symmetry of the cascade. Solution: teach overall internal COHERENCE by measurement - which is the process of learning to complete the cascade AND learning to make the (brainwave) harmonics in the cascade LOCK IN (Golden Mean?) RATIO. What is the PRINCIPLE of HARMONIC INCLUSIVENESS in GENERAL - to identify and quantify vitality in ALL living things? How do you measure OVERALL INTERNAL COHERENCE in brainwaves?? DID YOU KNOW - that the GEOMETRY ( the ratio ) of the perfect inclusive cascade of brainwaves harmonics is also known?? Now you no longer need to struggly to find the perfect musical recipe of brainwave frequencies to help your A.D.D. and Addiction cases! ATTENTION is a name for the sorting into phase of electrical brainwaves that results if compression is successful. The principle is that waves get SORTED in nature internally by only ONE phenomena. This is the compression / fusion / implosion / perfect collapse which scientists like Einstein and Schauberger sought for so long. - also see the Ecstasy and Immortality - Conscious Kids new book link below..
Fractality was discovered after Einstein - now physics acknowledges FRACTAL is the ONLY geometry which allows infinite compression. So are we saying that to RESTORE ATTENTION - you need to RESTORE THE FRACTAL IN BRAINWAVES?? Is "Implosive" Charge Compression - the Ultimate Way to Attract + Store Biological Information?. Consider- could it be that there is a simple symmetry of charge which identifies LIFE FORCE, SEED GERMINATION, AND HUMAN BLISS - CREATIVITY and Learning. And that this symmetry of field effect can be identified and taught using the music of Golden Mean ratio - in Brain and Heart to TEACH COMPASSION, EMPATHY, BLISS and CREATIVITY. And that this revolution in the principle of what is life itself - IMPLOSION into Fusion for Charge- can redefine - education / creativity - as well as architecture and agriculture. Dan Winter makes this case after 20 years of global teaching - in conjuntion with demonstration of his new Bliss Tuner (creativity biofeedback) and HeartTuner system. Come and experience for yourself - a new science of life and creativity - SOLUTION TO LEARNING - based on a simple hygiene anyone can understand and use. The Golden Mean spiral is the only shape for waves which allow them to self re-enter (biofeedback IN PRINCIPLE) - withOUT self destruction. This should sound a bit familiar if you ever hear Depak Chopra's VEDIC - DEFINITION OF CONSCIOUSNESS ( attention??) - as THE ABILITY TO SELF REFER! The really new information is that when you arrange capacitors into a fractal ( visualize a pine cone here) you DO in fact get gravity ! ( goldenmean.info/thrust ) . What physics does not yet admit is that because the Golden Mean ratio is the key to fractal self-similarity - this is why Golden Mean is key to fractals! So why - do you - a neurofeedback / biofeedback pro - want to know about solutions to the Unified Field?? Well - wait - the plot thickens..
We introduce - Professor Korotkov in St.Petersburg - who arranges to study the brainwaves of whole classrooms full of BLIND CHILDREN - who learned to SEE - by learning a particular BLISS / ECSTATIC / FOCUSED brainwave state. ( How? - They imagined themselves embedded in PERFECT NATURE!! - can you do it? ). When they got their brainwaves nested in this VERY WELL DEFINED ELECTRICAL PATTERN - THEN THE BLIND COULD SEE!! And so what WAS this magic musical EEG - recipe for PERFECT PERCEPTION ??? (they could focus and see thru their SKIN without eyes - we UNDERSTAND the physics). ONE:- The 2 biggest brainwave harmonics came in to GOLDEN MEAN RATIO! TWO (you could guess) - Right and Left hemispheres came in to synchrony (cross hemispheric coherence phase lock). Note- also here if like you can also provide feedback to teach the THIRD magic indicator: YOUR AURA GETS BIGGER - ( see GDV - medical aura measurement used by governments and the AMA ). So- does this surprise you? When you get BLISSFUL PERFECT ATTENTION - the electrical signature is merely that of PERFECT CHARGE COMPRESSION! And guess what - your brainwaves enter Golden Mean Ratio - Coherence - AND your aura gets bigger. ( The Golden Mean Ratio CADUCCEUS Cascade- the same way you can BREATH your way to perfect Heart Rate Variability - and brainwave bliss). 1. 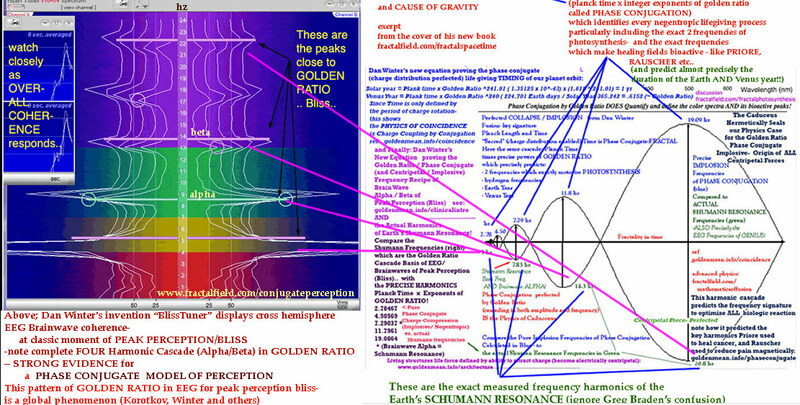 The ratio between (principle) brain harmonics goes to GOLDEN RATIO..
3. Minimizing Temporal activation corresponds to reducing the EEG map Dr.Wilson correlated to Dissociation (vs. Transcendance which is Golden Ratio phired CROWN activation). 5. Increase in FRACTALITY (folded-surface) of the aura. -Also note that there is precedence confirming the power of acheiving cross hemispheric coherence in EEG - in triggering Healing. The Mind Mirror literature above is as well clear - that this form of coherence - WHEN ALSO COMBINED WITH COHERENT LINK UP TO A SECOND PERSON BEING HEALED - is a clear correlate / indicator - that functional energy healing occurs. The physics of attention is so simple - children explain it back to ME - all the time! -So let's get back to your biofeedback clinic for a moment. You have kids all over the planet whose electric environment is NOT fractal / sacred - and that is Killing them - and their attention. (solution: goldenmean.info/architecture , goldenmean.info/lightcity , goldenmean.info/dowsing ). By the time - they walk into your office - weary and confused parents in tow - things have gotten messy. If they say no to RITALIN ( our notes on alternatives to that SOUL killer: goldenmean.info/ritalin ) - they may go to jail (welcome to America. Is it also true that approaching 50% of the urban kids in Australia have been locked in to Ritalin drug addiction by the horrible government nightmare there? - Is this what it means to join the borg? When the fire of bliss potential goes out of a child locked in to Ritalin - I think there IS such a thing as KARMA - for the disempowering pill pusher - - it is called symmetry balance created because DNA is a fusion device - holy communion for CHARGE. ). HERE IS WHAT YOU DO - with A.D.D. - ( maybe you missed a few of these)..
1. New Diet!- eliminate ALL white flour, white sugar, food additives and preservatives, all fried food, all stimulants - drastic reduce all wheat, corn, and soy. All highly processed and fractionated foods. Replace with : live food as majority of the diet , spring water, fresh squeezed, amaranth, quinoa, hi quality protein- not over cooked- eggs, salmon..
2. New Environment - can the kid be given a test: 2 weeks - BACK IN NATURE - UNPLUGGED - NO ELECTROSMOG???????? If they knew how to measure electrosmog - they could PROVE the school is poison to attention (charge compression) . ( Measurement tools: http://www.goldenmean.info/12strands/ - goto bottom ). Do the parents know how to dowse to make a magnetic map of the childs bed, the childs desk, and wherever they spend most time? - see goldenmean.info/dowsing - remember ATTENTION IS THE RESULT OF HOW MANY WAVES OF CHARGE CAN AGREE TO COMPRESS. This is why the day you rip the poison flouscent electrosmog from hell - lights OUT of your childs classroom and install sunlight - the attention span measure skyrockets. (60 and 50 cycle are waves which PREVENT embedding / nesting in natures hydrogen golden ratio based fusion phase lock. Hint: the DEFINITION OF EVIL is failure to embed). 3. Prescribe YOGA and Meditation training. 4. 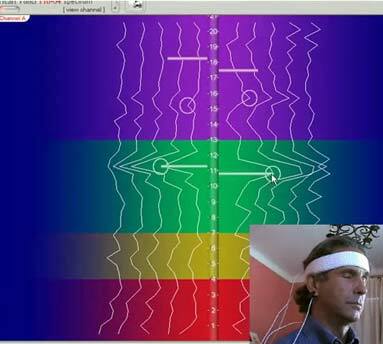 SHOW THE CHILD HOW TO MAKE PREFECT BRAINWAVE MUSIC BY HEARING MUSIC WHEN THEY MAKE GOLDEN RATIO IN BRAINWAVES! - We designed the BLISSTUNER - specifically to teach the EEG music which DEFINES the creativity - even enlightenment -brainwave state. Since we now know exactly what that is IN PRINCIPLE. First ATTRACT CHARGE by compressing well ( Implosion) - then RADIATE! note - As inventor - I have ceated a special arrangement for the hardware PLUS many training DVD (everything at goldenmean.info/hearttunerspecial )- for those - who might help us TEACH and RESEARCH and PROVE this - ..
With complete musical audio cues to learn EEG Golden Ratio Bliss. Next is a history of the discovery that Golden Mean Ratio in brainwaves- correlates to peak states/ peak perception / peak experience - and the solution to Attention Deficit and Addiction.. This author suggests that Golden Ratio in EEG ratio indicates the moment of PHASE CONJUGATION & perfected CHARGE COLLAPSE - thus producing attention- as ability to sort waves by implosive compression. From Dan Winter: "Rollin McCraty and crew at Heart Math were algae salesmen and rock musicians til I taught them to how to take an EKG, how to spectrum analyze it, and how to connect that to coherent emotion. The real irony is they vehemently refused to see those harmonics I showed them as COHERENCE - until I spent a year convincing them: NOW they take credit for originating Heart Coherence! - in spite of the fact that the literature ("Instinct to Heal" etc.) is clear that I did. The worst part is they CONTINUE to mislead the public into thinking that breathing at 1 frequency is heart coherence. It is actually not variability or coherence. REAL HEART COHERENCE is measureable and they haven't done it. What they have done is sent a team of viscous legal agents around the world making life hell for people like Dr.Alan Watkins ( cardiac-coherence.com ) , and James Barret (heartbeat2000.com ). Quite the opposite of the supposed loving integrity they project in shallow image." 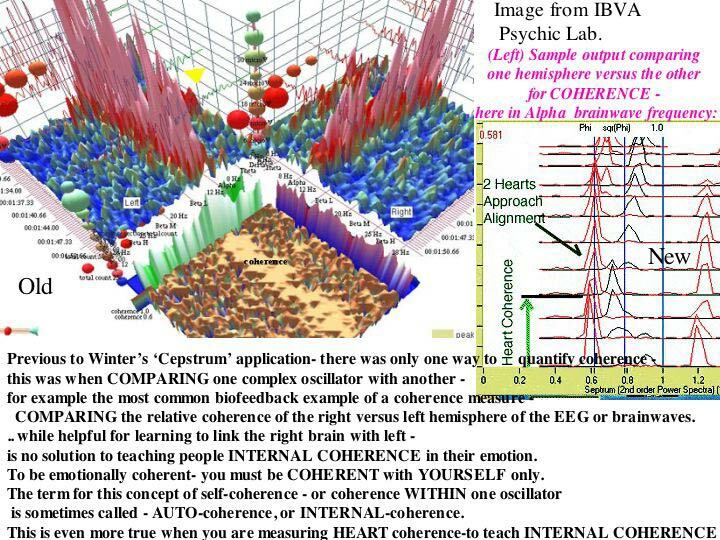 Dan Winter discovers new mathematics: how to make Heart and Brain INTERNAL COHERENCE - measureable: The CEPSTRUM. 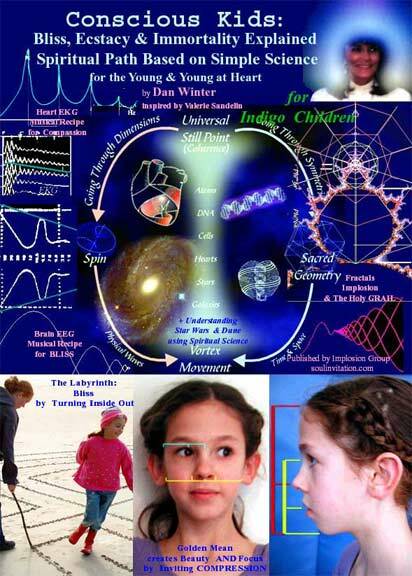 Dan Winter discovers apparent Golden Ratio based cascades in Heart Harmonics- indicate empathy / compassion. Example JR's Story: Reaching thru the Veils of Disability using the Heart!- Armoring is no barrier. Dr.Ed Wilson, then research director: Monroe Institute- independantly discovers that Fibonacci (to Golden Ratio) Audio Tone Headphone cascades trigger TRANSCENDENCE in Brainwave mapping. He redefines transcendence for Brainwave study. Dr.Wilson discovers Dan Winter's similar work linking Golden Ratio in EKG cascades to Compassion- travels to NY and creates documentary with Winter (1992). source: VHS Video: "Fibonacci Resonance, The Brain, & Consciousness"
consistently shows the particular cascade of brainwaves harmonics in symmetry produces "CREATIVE INSPIRATION, PERSONAL INSIGHT, & SPIRITUAL AWARENESS". "The AWAKENED MIND brainwave pattern combines the intuitive, empathetic radar of the delta waves, the creative inspiration, personal insight, and spiritual awareness of the theta waves, the bridging capacity and relaxed, detached, awareness of the alpha waves, and the external attention and ability to consciously process thought of beta waves, all at the same time. It is a brainwave pattern shared by people in higher states of consciousness regardless of their philosophy, theology or meditation technique. This brainwave pattern can be found during "peak experience" and in all forms of creativity and high performance. The awakened mind is also the "ah-ha," appearing at the exact instant of solving the problem, or getting the insight." 2001: World Without Blindness project in Russia- develops a peak experience mental state protocol enabling large numbers of totally blind Russian children to begin to see - and return to regular school. Procedure includes imagining BLISS IN NATURE. Dr. Korotkov: Founder of GDV- Gas Discharge Visualization a Kirlian aura measure tool - calibrated accurately enough to be used globally for clinical diagnostic by thousands of Medical Doctors. The SIZE and FRACTALITY of this aura were 2 of the clear scientific correlates of the BLISS CREATIVITY STATE. 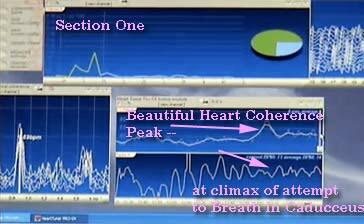 2004: Dan Winter- with help of Heart Coherence Team ( goldenmean.info ) develops and tests a new component to HeartTuner Pro- A BLISSTUNER. +2. 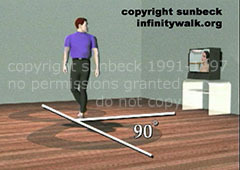 Learn to add Beta (higher frequency ) in GOLDEN MEAN RATIO - aided by computer generated Ball and Stick game (see pic) .. AND by musical audio tones differentially in headphones for right and left, based accurately on multiples of your real brainwave frequencies. 10 Years of Teaching: Discover the electrical environment (FRACTAL CHARGE COMPRESSION = LIFE) which will CAUSE a seed to germinate and HELP A HUMAN ENTER BLISS - CREATIVITY and LEARNING. This redefinition of LIFE and BLISS - suggests a VERY PRACTICAL re-inventing for the HYGIENE FOR BLISS - AND EDUCATION. Bliss is the only way to sustain -immune health, -lucid dreaming, + successful memory thru death. - the real physics of the origin of the HOLY GRAIL- DaVinci Code - why S.France and Washington DC grid sites are all PENT etc..
Rosy Cross= Perfect PHASE CONJUGATION =IMPLOSION- the only fusion symmetry possible where infinite phase velocity modes converge CONstructively.. (converts charge compression to acceleration>makes gravity)..
- the REASON any enzyme is ALIVE- (the DNA recursive braid- why heat kills a live enzyme -strucurally - de-organizing electrical recursion ). - the essential mechanism behind all energy / electrical healing technologies. (with power spectra examples-below)..
= Turning on DNA Radio - the aura production called sainthood / enlightenment -which Korotkov measured example in GDV during bliss /peak experience. 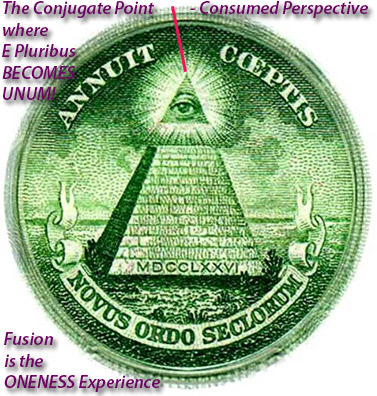 = Access to the -collective unconscious, synchronicity, san-graal DNA piezoelectric ring-grail. = How LIFE POTENTIAL is MEASURED in liquids as RE-DOX Potential. = How COHERENCE in biologies field effect - the KA (thar,tholic-boat to underworld) prepares to survive death in what compresses out of DNA thru light speed. 2. 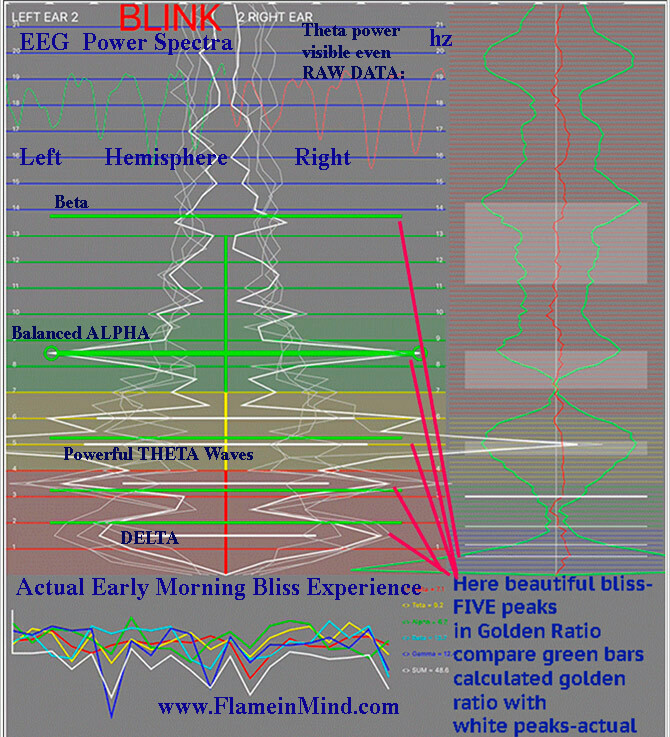 Tibetan Meditators document Climb to GAMMA (higher freqs)in EEG- Is the cascade FRACTAL?? 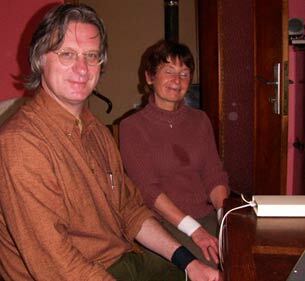 - gamma training - Important news for BlissTuner / EEG studies of Bliss / Peak Experience: Marty Wuttke neurotherapy.us - who originally set-up the neurofeedback.nl group - thru Dan Winter, and inspired much of our teaching on Neurofeedback for Attention Deficit and Addiction, - is still doing international conference with A.D.D. - eeg feedback and tai-chi, - announces that he has stopped calling the work simply Attention or Addiction therapy - and is entirely focused on Spiritual Evolution and Spiritual Experience. He points to important new research- High Frequency GAMMA frequencies in Meditators may directly measure and teach Advanced Conscious States: - Marty is working with Dr.Eduardo Rocatti - EEG Project in Argentia- (exerpt here): "... short introduction to a sequence of future presentations about Gamma Frecuency research and the wide range of applications on Coherence Trainings with QDSNFK 256 4 EEG Ch & BioExplorer. - - Meditations Systems can be divided in 2 Groups: 1) Voluntary Concentrative: meditation on an object (such as a meditation on a mantra or the breath or image). These concentration techniques can be seen as a particular form of top-down control that may exhibit an important slow oscillatory component. 2) Objectless Meditation: does not directly attend to a specific object but rather cultivates a state of being. These phenomenological differences suggest that these various meditative states (those that involve focus on an object and those that are objectless) may be associated with different EEG oscillatory signatures. The high-amplitude gamma activity is a Singnature of this Objectless meditation. Assuming that the amplitude of the gamma oscillation is related to the size of the oscillating neural population and the degree of precision with which cells oscillate, massive distributed neural assemblies are synchronized with a high temporal precision in the fast frequencies during this state. The gradual increase of gamma activity during meditation is in agreement with the view that neural synchronization, as a network phenomenon, requires time to develop , proportional to the size of the synchronized neural assembly. AUM, THE MOST ANCIENT OF ALL SOUNDS: Thousands of years ago in ancient India the seers rediscovered the sacred syllable AUM (pronounced OM). AUM is more than a single word, it is the seed of all other words and a scientific formula. When each letter is vocalized correctly, all vowels and consonants are foreshadowed within it. "A" embodies the waking state of consciousness, the material world. "U" represents the dream state of the astral and subtle planes of existence. "M" symbolizes the state of deep dreamless sleep, a state of bliss and transcendence which is not consciously experienced. The most important part of this primeval formula is the silent resonance that is felt after sounding the "M." This forth part is the spirit, consciousness itself. The vibration of AUM brings about physical and psychological evolution. (DOES a proper OM chant IMPLODE by PHASE CONJUGATION? - insert here: power spectra of the AA EE UU MM sound from Dan Winter- showing probable connection to Caducceus PHASE CONJUGATION-from goldenmean.info/harmonic -3D Harmonic Analysis Power Spectra Waterfall plot: x axis =hz to 3000,y axis=db energy density, z axis=time. OHM harmonics)- returning to quote from DrRocatti-link above.. Meditation Research Findings: Gamma and PreFrontal Cortex ...research on Gamma Field about Coherence, shows the basis for the development of algorithms that explain and measure Coherence, Phase and Sinchrony with increasing accuracy. All this research done from the perspective of Neurophysiology, Neuropsychology and Electrophysiology correlations lead to the discovery of new Gamma Signatures. The research is developing every year with more speed, more dedication, and the results are impressive and infinitelly promising. As a simple example, the Conectivity Studies show that Negative EEG coherence may indicate reduced functional connectivity. The absence of these negative scores implies that connections may have been made in these regions. Brain research is beginning to produce concrete evidence for something that Buddhist practitioners of meditation have maintained for centuries: Mental discipline and meditative practice can change the workings of the brain and allow people to achieve different levels of awareness. Those transformed states have traditionally been understood in transcendent terms, as something outside the world of physical measurement and objective evaluation. But over the past few years, researchers at the University of Wisconsin working with Tibetan monks have been able to translate those mental experiences into the scientific language of high-frequency gamma waves and brain synchrony, or coordination. And they have pinpointed the left prefrontal cortex, an area just behind the left forehead, as the place where brain activity associated with meditation is especially intense. "What we found is that the longtime practitioners (meditators) showed brain activation on a scale we have never seen before," said Richard Davidson, a neuroscientist at the university's new $10 million W.M. Keck Laboratory for Functional Brain Imaging and Behavior. "Their mental practice is having an effect on the brain in the same way golf or tennis practice will enhance performance." It demonstrates, he said, that the brain is capable of being trained and physically modified in ways few people can imagine. - Davidson says his newest results from the meditation study, published in the Proceedings of the National Academy of Sciences in November, take the concept of neuroplasticity a step further by showing that mental training through meditation (and presumably other disciplines) can itself change the inner workings and circuitry of the brain.The new findings are the result of a long, if unlikely, collaboration between Davidson and Tibet's Dalai Lama, the world's best-known practitioner of Buddhism . - The Dalai Lama first invited Davidson to his home in Dharamsala, India, in 1992 after learning about Davidson's innovative research into the neuroscience of emotions. The Tibetans have a centuries-old tradition of intensive meditation and, from the start, the Dalai Lama was interested in having Davidson scientifically explore the workings of his monks' meditating minds. Three years ago, the Dalai Lama spent two days visiting Davidson's lab. - The Dalai Lama ultimately dispatched eight of his most accomplished practitioners to Davidson's lab to have them hooked up for electroencephalograph (EEG) testing and brain scanning. . - - Davidson was especially interested in measuring gamma waves, some of the highest-frequency and most important electrical brain impulses. The monks who had spent the most years meditating had the highest levels of gamma waves, he added. This "dose response" -- where higher levels of a drug or activity have greater effect than lower levels -- is what researchers look for to assess cause and effect. - - In previous studies, mental activities such as focus, memory, learning and consciousness were associated with the kind of enhanced neural coordination found in the monks. The intense gamma waves found in the monks have also been associated with knitting together disparate brain circuits, and so are connected to higher mental activity and heightened awareness, as well. - - Davidson's research is consistent with his earlier work that pinpointed the left prefrontal cortex as a brain region associated with happiness and positive thoughts and emotions. Using functional magnetic resonance imagining (fMRI) on the meditating monks, Davidson found that their brain activity -- as measured by the EEG -- was especially high in this area. Davidson concludes from the research that meditation not only changes the workings of the brain in the short term, but also quite possibly produces permanent changes. That finding, he said, is based on the fact that the monks had considerably more gamma wave activity than the control group even before they started meditating. "- more at Dr Rocatti link above..
-- related: "Long-term meditators self-induce high-amplitude gamma synchrony during mental practice"
-- Stuart Hameroff: in his review of GAMMA Frequencies in Meditators- "- ....the study by Antoine Lutz and colleagues in the Proceedings of the National Academy of Sciences USA, - - compared EEG in two subject groups before and during meditationnot of an object or activity, but of a pure feeling of unreferenced compassion.- - One subject group was composed of young students trained for a week in meditative technique; the second group consisted of Tibetan Buddhist practitioners with 15 to 40 years of meditation training and practice. The EEG methodology was rigorous, and the results were clear. Compared to novice meditators, the highly trained Tibetan Buddhist meditators had markedly higher amplitude, long-range global gamma synchrony in bilateral frontal and parietal/temporal regions. An increase in gamma synchrony was also observed in baseline measurement (before meditation) which became enhanced and more global during meditation in the trained Tibetan meditators. For technical reasons (possible muscle artifact and 60 Hz AC interference) the absolute frequency spectrum was not determined, though the experimenters hinted of a significant rise in synchrony and amplitude in the 80 to 120 Hz range during the Tibetans meditation. The coherence and power in the range of 25 to 42 Hz was significantly increased statistically. (Coherence is usually defined as synchrony with a very brief lag, on the order of a few milliseconds). Amplitude of the synchronized gamma activity was greater than any previously reported nonpathological (i.e. non seizure-based) gamma synchrony. So, what does this tell us about consciousness? Well first, there is an increase in gamma synchrony amplitude and coherence during what I think is fair to call an enhanced state of consciousnesspure intense experience unfettered by cognitive contents. This supports the notion of gamma synchrony as an electrophysiological correlate of consciousness. Second, the trained Tibetan meditators had baseline increases in gamma synchrony and amplitude, suggesting long-term changes in their brains from years of meditation. One might say they are more highly conscious in a baseline state, achieving even greater intensity of consciousness during meditation. Like most good research, this study raises more questions than it answers. How is the contentin this case the pure quale of compassionrepresented? 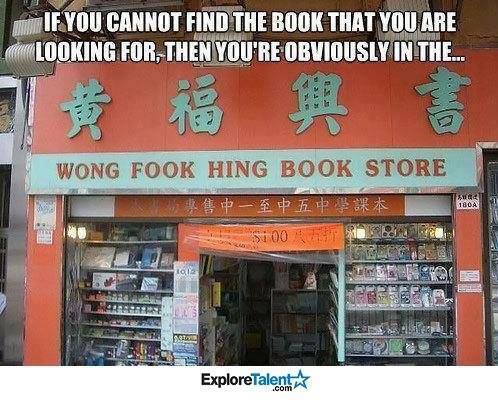 Is it in the specific coherent frequency? Is it in the specific neural regions entrained in the coherent process? Is it in some finer-grained process? Are the coherence, amplitude and/or frequency related to intensity of experience? Comment from Dan Winter- Good that this dialog is stimulated. Stuart- like the other 'blind leading the blind' presenters of"WHAT THE BLEEP" - et al continue to stubbornly ignore the fundamental principle - that extending the harmonics of EEG into the higher frequency gamma is correlated to harmonic inclusiveness (caducceus / PHASE CONJUTATION) including Golden Ratio self similarity - to create the COMPRESSION which makes the brains electric field coherent (by becoming fractal). The good news is that the option to adjust for high frequency display in the cross hemispheric BLISSTUNER display - beautifully allows the display of these higher meditative frequencies - up to 60 hz. We have suggested that the option to positively reward Golden Ratio from Alpha to Beta- so proven in the Russian research - be extended upward to gamma. Cantorian Fractal Spacetime and Quantum-like Chaos in Neural Networks of the Human Brain- : http://www.geocities.com/CapeCanaveral/Lab/5833 , - The neural networks of the human brain act as very efficient parallel processing computers co-ordinating memory related responses to a multitude of input signals from sensory organs. Information storage, update and appropriate retrieval are controlled at the molecular level by the neuronal cytoskeleton which serves as the internal communication network within neurons. Information flow in the highly ordered parallel networks of the filamentous protein polymers which make up the cytoskeleton may be compared to atmospheric flows which exhibit long-range spatiotemporal correlations, i.e. long-term memory. Such long-range spatiotemporal correlations are ubiquitous to real world dynamical systems and is recently identified as signature of self-organized criticality or chaos. The signatures of self-organized criticality i.e. long-range temporal correlations have recently been identified in the electrical activity of the brain. The physics of self-organized criticality or chaos is not yet identified. A recently developed non-deterministic cell dynamical system model for atmospheric flows predicts the observed long-range spatiotemporal correlations as intrinsic to quantum-like mechanics governing flow dynamics. The model visualises large scale circulations to form as the result of spatial integration of enclosed small scale perturbations with intrinsic two-way ordered energy flow between the scales. Such a concept maybe applied for the collection and integration of a multitude of signals at the cytoskeletal level and manifested in activation of neurons in the macroscale. The cytoskeleton networks inside neurons may be the elementary units of a unified dynamic memory circulation network with intrinsic global response to local stimuli. A cell dynamical system model for human memory circulation network analogous to atmospheric circulations network is presented in this paper. 2. NEW Release finally complete- HeartTuner/ BlissTuner "Wellness Measuring System" - 2 Channel HRV for Empathy Measure -with references, pictorial examples -Plus- new OCTAVE (brainwaves of telepath / channel) vs Golden Ratio (brainwaves of Bliss / Peak Experience) markers/ feedback added to BlissTuner. 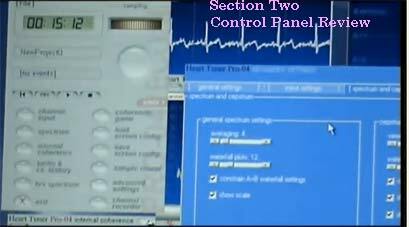 New below- special distribution offer from Dan Winter- complete 2 ch EKG/EEG/HRV biofeedback system with TRAINING free gift 25 dvd films- 8 are of HeartTuner/ BlissTuner training + Support + Warranty + 3 Dan Winter books. 4. New- Article from Frank of goldenmean.info - PATTERN RECOGNITION IN BRAINWAVES. 1. A proper test for a theory of gravity is, if it can describe how to (electrically) repair gravity (and retain atmosphere). The simple physics is that restored fractality restores / stabilizes gravity and the possibility of holding atmosphere and restoring climate from chaos. Long wave magnetic lines properly mapped and restored to dodeca icosa fractality do precisely that (invite constructive implosive charge collapse thereby self organizing wave systems back into life giving fractality). 2. A proper test for a scientific theory of consciousness is, if it can describe the precise (electrical) steps to restore consciousness. Restoring healthy fractal charge conditions (eeg Golden Ratio, phase conjugate or biologic architecture, live enzyme nutrition + yoga) around the body - absolutely pushes out infection / inflamation (lack of compression) - and brings back the possibility of electrically nourishing DNA, seed germination and bliss. Life and biology's survival symmetry library is none other than the information (charge) compression and distribution efficiency which precisely results from fractality. (Fractality in liquids / ReDox Potential, and fractality in AIR / I.G.A. - always measure the presence of LIFE ITSELF!). +Gravity exists when charge can create an accelerating centripedal force due precisely to fractal self similarity between layers of rotating charge (invitation to collapse+constructive phase conjugation of velocities turing compression in to acceleration). Saying that gravity is CAUSED by a curvature in space time is not complete or helpful unless you know that the curvature that permits non-destructive self reentry (collapse) is Golden Ratio (optimized translation of vorticity from circle to line MEANS changing mass to energy - and the inverse). Ask your 'PHYsicist why PHYsical is named for PHI. Ask your chemistry professor why KHEMistry is named for the Egyptian KHEM which means -ACCESS to a BLACK hole. AllKhem-y. 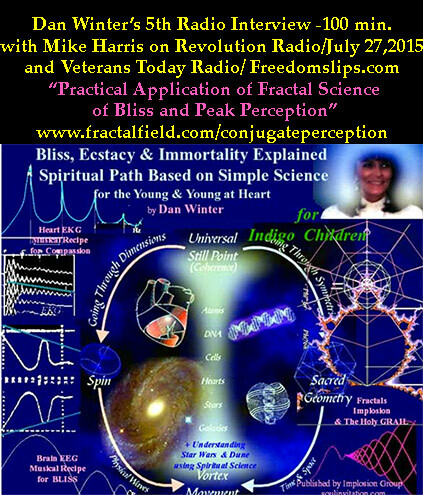 The FRACTAL FIELD - Revolutionary Research Frontier - with Radically Powerful Solutions to Virtually ALL Major Global Issues..
9. 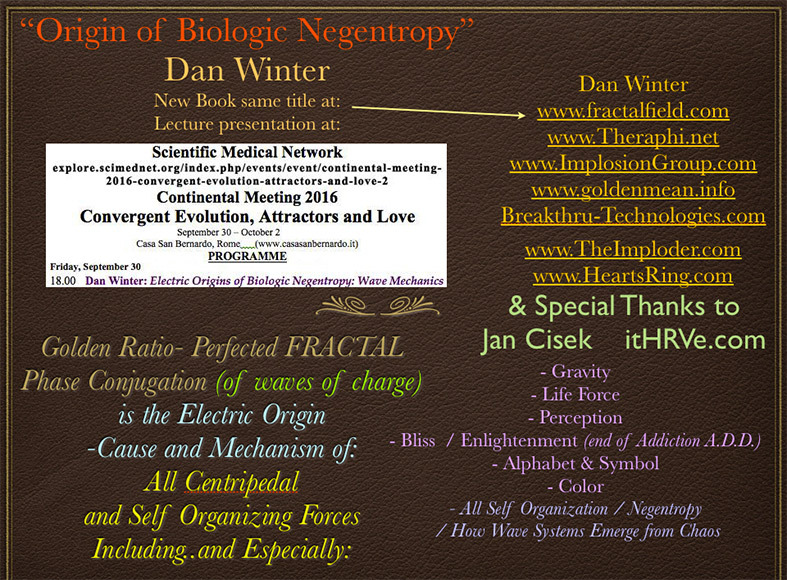 Another example of FRACTAL FIELD - self similar charge field -revolutionizing medicine..- note how Negative Ion Wind (a fractal field) radically sweeps infection and parasites from the body ( see: ref 1) -perfectly consistent with using fractality to measure ANY liquid's ability to support life ( ReDox Potential measure at goldenmean.info/healingphase ) and - measuring fractality in Air to find and measure life's electric signature ( see IGA at phaseconjugation link). ALSO-FRACTALITY in the HEART-solution to EKG+ disease resistance: goldenmean.info/holarchy . 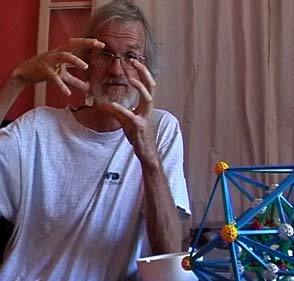 - See the COMPLETE - FILMS ONLINE- Implosion Group Web TV<index --..
István Dienes: Consciousness-Holomatrix - discovering duality symmetry between the geometric brain and topological consciousness. Luis Eduardo Luna PhD. : Plant Teachers in the Upper Amazon. Acquiring Information through Psychotropic Plants. Dan Winter MSc: The Fractal Field - perfecting "phase conjugation"
see new article below- Measuring EMPATHY with HRV (breath in Heart Rate Variability).. HeartTuner is now the world's premiere system to measure 2 persons HRV simultaneously for EMPATHY training - as well as the ONLY system measuring Heart COHERENCE (cepstrum peak AMPLITUDE) - PLUS measuring empathy with EKG phase lock directly (cepstrum peak left right position-alignment means musical phase lock between 2 bodies- a tantra / counseling / empathy / healing charge transfer - defining indicator). Our beautiful couple - harmonics displayed above..
'Wired to Connect.' - By Anne Underwood - Newsweek Magazine + Daniel Goleman's book "Emotional Intelligence"
Oct. 23, 2006 issue - "Carl Marci was jubilant. After a year in therapy, trying to decide whether to propose to his girlfriend, he had finally taken the plungeand she had said yes! As Marci recounted the story to his shrink days later, his therapist appeared to share the triumph with him. And it wasn't just an act. Marci, a psychiatrist himself at Massachusetts General Hospital, had wired himself and his therapist to special equipment that records heart-rate variability and "skin conductivity"two measures that, taken together, indicate the ebb and flow of emotional arousal. When he examined the data later, Marci was stunned. Lines on the two charts rose and fell in perfect unison, revealing that his therapist was truly sharing his excitement. "It's no accident that we speak of being on the same wavelength with someone," says Marci. "In a moment like that, you really are." That is precisely the point that science writer Daniel Goleman makes in his new book, "Social Intelligence: The New Science of Human Relationships." As Goleman contends, human brains are "wired to connect," and to a much greater extent than we ever realized. It's not just that laughter and bad moods are "contagious." Empathizing with a friend, whether in grief or elation, can activate the very same circuits in our own brains as in our companion's. Eleven years ago, when Goleman published his best seller "Emotional Intelligence," no one understood on a neuronal level how social interactions actually workedhow the brain processed rejection, for example, or experienced loneliness." 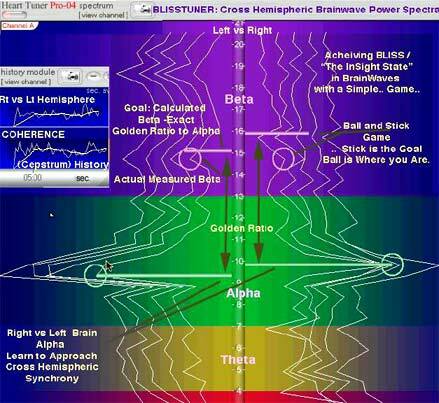 ALSO - new in the BlissTuner - Knowing that OCTAVES (alpha to beta) in Brainwaves set up the linear CHANNELLING / TELEPATHY modes - versus the GOLDEN RATIO - sets up the empowering BLISS /PEAK PERCEPTION / ENLIGHTENMENT modes. NOW - added FEEDBACK CUES (above pic) on the eeg spectra screen- allow you to immmediately see WHICH OF THE TWO KEY RESONANT STATES -PHI RATIO - versus OCTAVES - YOU ARE ACHEIVING! 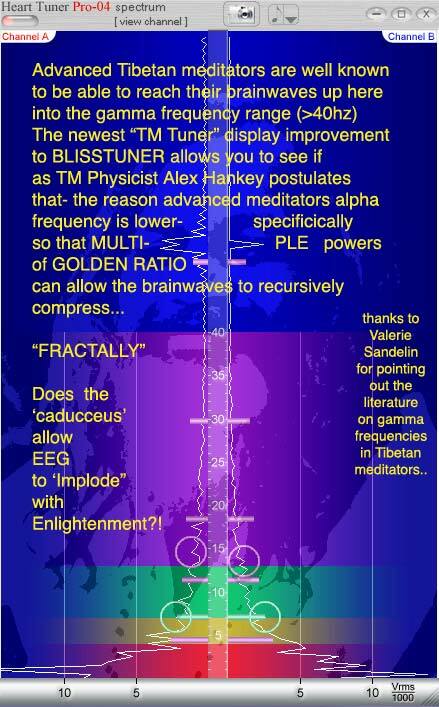 Note also below the new TM TUNER-display from the BlissTuner> showing MULTIPLE Cascade markers of Golden Mean..displayed- allowing us to see when advanced meditators reaching even up into gamma (like 45-48hz etc) frequencies, are in fact able to do that in GEOMETRIC Golden Ratio / charge compressing- cascades! Abstract- The principle of information coding by the brain seems to be based on the golden mean. Since decades psychologists have claimed memory span to be the missing link between psychometric intelligence and cognition. By applying Bose-Einstein-statistics to learning experiments, Pascual-Leone obtained a fit between predicted and tested span. Multiplying span by mental speed (bits processed per unit time) and using the entropy formula for bosons, we obtain the same result. If we understand span as the quantum number n of a harmonic oscillator, we obtain this result from the EEG. The metric of brain waves can always be understood as a superposition of n harmonics times 2 F, where half of the fundamental is the golden mean F (= 1.618) as the point of resonance. Such wave packets scaled in powers of the golden mean have to be understood as numbers with directions, where bifurcations occur at the edge of chaos, i.e. 2 F = 3+ f3. Similarities with El Naschie’s theory for high energy particle’s physics are also discussed. Dear Dan, your finding that beta/alpha ratio is near Golden Mean in blissed state is quite interesting and I have tried to figure out explanation for this in my own conceptual framework. These considerations lead to prediction that resting potential is quantized in such a manner that beta/alpha ratio correspond to ratio of Fibonacci numbers , approximating Phi but being smaller than it. a) Alpha band and its harmonics correspond to cyclotron freqeuncies for biologically important bosonic ions. The cyclotron frequencies of most bosonic ions most are in alpha band for "dark" magnetic field B_d= .2 Gauss explaining the effects of ELF em fields on vertebrates. This field is smaller than the nominal value of B_E=.5 Gauss. This dark magnetic field would be one example of carrier of dark energy as magnetic energy. Planck constant would be 244 hbar_0 and thus quite large. b) The model assumes neuronal membrane to be Josephson junction generating Josephson radiation contributing to EEG in external field containing harmonics of cyclotron frequencies plus noise. Beta and theta bands are obtained as Josephson radiation and frequencies are obtained by splitting of harmonics of cyclotron frequencies. Beta and theta are "satellites" of alpha. n=1 gives ordinary beta band. f_c is cyclotron frequency of ion in B_d=.2 Gauss belonging to alpha band and f_J the Josephson frequency of Josephson junction proportional to the membrane voltage. giving the analog of theta band for n=1. n>1 gives harmonics of alpha bands split to analogs of "theta_n" and "beta_n" bands. c) f_c has average value of alpha peak about 10 Hz. f_J= 5 Hz in wake up state in my model and gives beta=15 Hz and theta=5 Hz as average. Thus for f_c= 10 Hz and f_J=5 Hz the beta/alpha ratio would be 1.5 and correspond the ratio of Fibonacci numbers F_2= 3 and F_1=2 and would give approximation Phi= F_2/F_1= 3/2 to Golden mean which might not be an accident! This holds true in ordinary wake-up state. Why beta/alpha should approach to Golden Mean in bliss? Since f_J is assumed to be proportional to membrane resting potential beta/alpha ratio can vary. The basic question is why the beta/alpha ratio should be higher than F_2/F_1=3/2 in deep meditative state? a) This state could correspond to state of pure alertness without mental images. 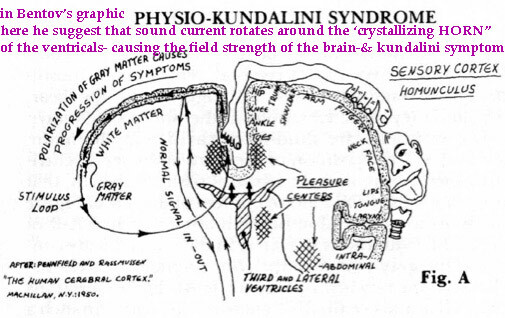 In the state in which cell membrane is hyperpolarized, nerve pulse generation does not occur easily and thus sensory or other mental are not easily generated. This would suggest that beta/alpha ratio is maximal in this state and approaches to Phi when mental images are completely absent and only pure self awareness remains. In the state of arousal situation would be opposite. appear in series approaching to Phi= 1.6180...as n goes to infinity. At this idealized limit the state of bliss would be achieved. The quantization of resting potential or its time average is a precise and testable prediction. Connection with Jones inclusions and topological quantum computation by braids and icosahedral geometry? It is interesting that this kind of sequence corresponds to a sequence of approximations for the so called Jones inclusions of hyper-finite factors of type II_1 given increasingly improved approximation to the Jones inclusion. It also corresponds to a sequences of Temperley Lieb algebras defining as sequences of increasingly improving braid quantum computations. This for minimal topological quantum computer realized by the geometry with icosahedral symmetry and Planck constant 5 times larger than its minimum value. thank for adding the email to the Newsletter. Concerning your question: coherence and constructive interference at brain scale would naturally increase along the sequence since neural activity spoiling the coherence would be reduced. Note that entire brain or parts of brain could be in these states. Even the states of single neuron would be at some level of spiritual hierarchy (fractality). Below some further comments. I add subtitles in order to give a structured view about what I am trying to say. Could one measure the level of spirituality just by measuring resting potential? The model predicts a sequence of increasingly spiritual states approaching full bliss labelled by approximations to Golden Mean and that one could decide what this state is just by measuring the average resting potential. The transitions in this sequence could be detected by measuring the change of resting potential: this would allow to test the model by comparing subjective report of meditator to the measured increase of resting potential. Only half of the approximations to Golden Mean are below it. Second half is above it since the approximations define damped oscillation around Golden Mean. The question is whether the hyperpolarized state following the nerve pulse in a given state of spiritual sequence correspond to the next approximation to Golden mean which is *above* Phi. I have a strong temptation to believe that the N:th state in this spiritual sequence defined by approximations to Phi is assignable to an N-braid with N measuring the precision of cognitive representation and how precisely intentions are realizable. Maximal cognitive and intentional resources would be available at the limit of full bliss. First basic ideas about intentionality and cognition and p-adic numbers. a) p-Adic space-time sheets represent cognitions if they are bosonic and cognitions if they are fermionic. They obey same algebraic equations as real space-time sheets. In quantum jump replacing p-adic space-time sheet with a real one intention is transformed to action. b) One can regard rational as belonging to both real numbers or p-adic numbers for any prime p=2,3,5,... Also subset of algebraic numbers is common to reals and p-adics. One can therefore say that real and p-adic space-time sheets have some set of rational points and some algebraic points as common points. c) For fermionic states these common algebraic points would represent the intersection of real (material) states and their cognitive representations. For bosonic states these algebraic points would belong to the intersection of p-adic surface representing intention and real surface representing action and p-adic to real phase transition in quantum jump would transform intention to action. The larger the number of common algebraic points, the better the cognitive representation and the better the chances to achieve the intented effect. Consider now N:th level in the hierarchy of approximations to Golden Mean and how the N-braids could emerge. a) N-braid would consist of a *subset* of algebraic points of a "partonic" 2-surface which it has common with its p-adic counterpart obeying same algebraic equations. b) The larger the number of common algebraic points (N), the more detailed the cognitive representation would be (since the strength of the "grasp about reality" increases with N) and the higher the cognitive level would be. Bliss would represent in fermionic sector a state of maximal cognition. In bosonic sector the potential to realize intentions would be maximal in bliss. Hence maximal cognitive and intentional resources would become avaiable as full bliss is approached.